Over the past decade, Rite Rate has become the leading plumbing, heating, and air conditioning company in Kenilworth, NJ. This is due to our guarantee for 100% customer service and 24-hour availability. We offer pocket-friendly repairs, replacements, and installations for commercial and residential HVAC and plumbing systems. There’s no plumbing, heating, or cooling job too big or too small for Rite Rate. Whether you need air conditioning maintenance or heating repair in Kenilworth, NJ, we’ve got you covered. It’s crucial for your heating system to consistently run efficiently all year long. That’s why Rite Rate offers 24-hour emergency heating repair in Kenilworth, NJ. 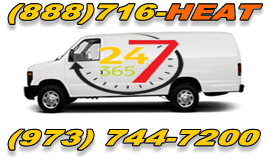 Our technicians will arrive in a timely manner and diagnose the issue with your heater. From hot water heaters to boilers, Rite Rate can repair anything related to your heating system. We also install any make or model of residential and commercial heaters. If you’re not sure which is the right heater, our techs will suggest the best one based on your budget and preferences. Rite Rate is the heating company in Kenilworth, NJ that you can trust! Our air conditioning services include installations, maintenance, repairs, and replacements. No matter if you have a residential or commercial air conditioning system, Rite Rate is affordable and efficient. Our technicians are experienced in all makes and models of air conditioners including heat pumps, central AC, Air handlers, AC compressors, packaged air, and ductless mini split systems to name a few. Rely on our air conditioning company in Kenilworth, NJ for expert air conditioning services! Rite Rate has exceptional plumbers available for 24hr plumbing repairs, new installations, and efficient replacements. We know how important it is to have a fully functional plumbing system and the smallest clog could cause an issue. Call us if you have a clog that won’t budge, a leak, or burst pipe. We’ve been repairing and installing plumbing fixtures for years which means you can trust your plumbing is in good hands. If you need services like air conditioning maintenance, plumbing installation, or heating repair in Kenilworth, NJ, call Rite Rate!